I just have simple stamping as I am just playing around with my new Creative Stamper. The learning curve on this stamper is extremely big! Granted, I love hard, smaller stampers and never had luck with squishy stampers like this one. 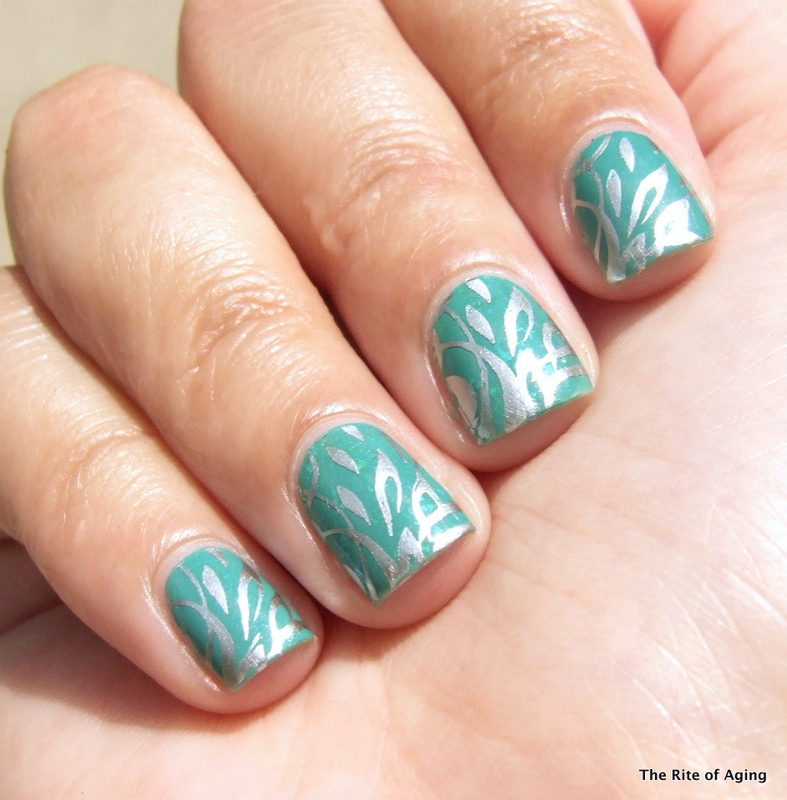 When I do get the stamping right, though, it is easier to pick up the image and so simple to get on the nail. I used to roll the Konad stamper over my nail. I had to wait for the base polish to COMPLETELY and UTTERLY dry or it would smear and sometimes I messed up the position of the image.